A few weeks before this year’s anniversary of the September 11, 2001 terrorist attacks, Edie Lutnick met with Cantor Fitzgerald employees to review logistics for the company’s annual private memorial service. Discussion veered from microphones and catering to the perennial disorganization of the main public commemoration. 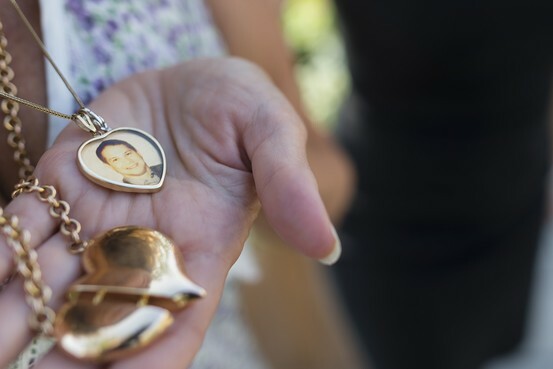 The ever-somber job of memorial planning is just one that Ms. Lutnick, 55 years old, has shouldered since the days immediately after Sept. 11, when she traded a career as a labor attorney for years of unpaid work running the Cantor Fitzgerald Relief Fund. As the group’s co-founder and executive director, she has been involved in almost every issue affecting the families of the 658 Cantor Fitzgerald employees who died that day. Now, 13 years after the attacks, as the attention of many donors has shifted, Ms. Lutnick said she would decide the next big step for her organization, which has given away more than $270 million since 2001. While smaller Sept. 11-related nonprofits have closed, contracted, merged or narrowed their missions, Ms. Lutnick said she has plans to broaden her fund’s focus. Going forward, she wants the Cantor Fitzgerald Relief Fund known as an organization that supports needy grass-roots nonprofits—and stays nimble in its financial response to disaster victims. The fund has already been moving in those directions. Ms. Lutnick is arguably one of the most powerful and respected leaders in the wider Sept. 11 charitable community—and not just because of the relative size of her fund. Radiating a fiercely protective older-sister aura, she is both a sharp advocate for victims and family members and an unabashed hugger. Among those killed was Ms. Lutnick’s youngest brother Gary, a 36-year-old managing director at Cantor Fitzgerald. Ms. Lutnick said he was the brother she raised after their parents died, and that he took his last breaths while on the phone with her that September morning. She wears two bracelets with his name around her wrist and a necklace with his image around her neck. Ms. Lutnick’s surviving brother, Howard Lutnick, the chairman and chief executive of Cantor Fitzgerald, L.P., a financial-services firm, wasn’t in his office in the north tower of the World Trade Center that morning when two-thirds of his staff died. His vow, made days after the attack, was to take care of the families. Ms. Lutnick carried out that promise. The main work of the Cantor Fitzgerald Relief Fund ended with the 10-year anniversary. For five years, Cantor Fitzgerald provided 25% of the firm’s profits to families, a total of about $180 million. It provided 10 years of health care to victims’ kin. Ms. Lutnick and her assistant continue to respond to family members’ needs. Some of the charity’s longtime recipients call just to share good news or hear her take on the 9/11 Memorial Museum. Cantor Fitzgerald and its affiliate, BGC Partners, BGCP -1.69% donate all global revenues earned each Sept. 11 to the relief fund. In 2013, the firm raised about $12 million on its “charity day.” Over nine years, the event has raised $101 million. Money raised from the annual charity day is now distributed to dozens of needy nonprofits, including the Caldwell, N.J.-based September 11th Education Trust, which tries to merge themes of history, heroism and public service into classroom curricula. Charity-day money also allows the organization to respond to emergencies. In 2012, some $10 million in $1,000 debit cards were given to victims of superstorm Sandy. In 2013, the fund distributed $2 million in debit cards to people affected by the Moore, Okla., tornado. Ms. Lutnick’s wish is for Cantor Fitzgerald’s fund to be seen as an alternate to other major disaster-related charities. She contends that her model of direct financial assistance—which reduces bureaucracy and gives victims more say over how money is used—makes better sense, is fast and cost-effective. Another idea she has is to institute a formal program to support and highlight worthy, but unknown charities. That could take the form of a website, she said, or a kind of buying guide for philanthropists. Read the story in The Wall Street Journal here.